The Shiveluch volcano in Russia's Kamchatka erupted once again on Sunday, as the volcano's activity continues to grow, potentially leading to a major eruption. 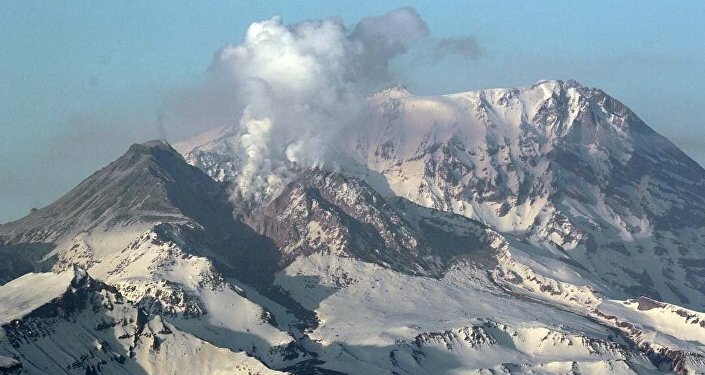 The Shiveluch volcano in Russia's Kamchatka territory woke up on Sunday morning local time, releasing a plume seven kilometers up in the atmosphere, the Kamchatka Branch of the Russian Academy of Science's Geophysical Service said. 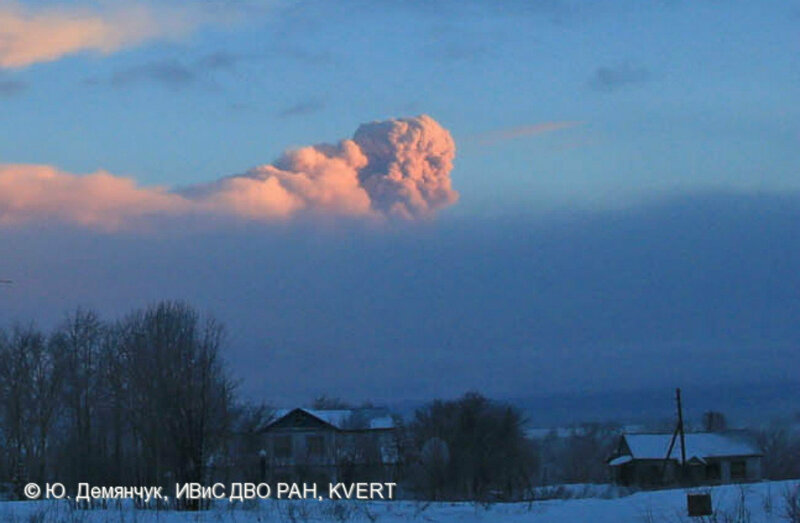 The Shiveluch volcano released ash plumes throughout 2015, at times releasing enough ash to carpet nearby towns. 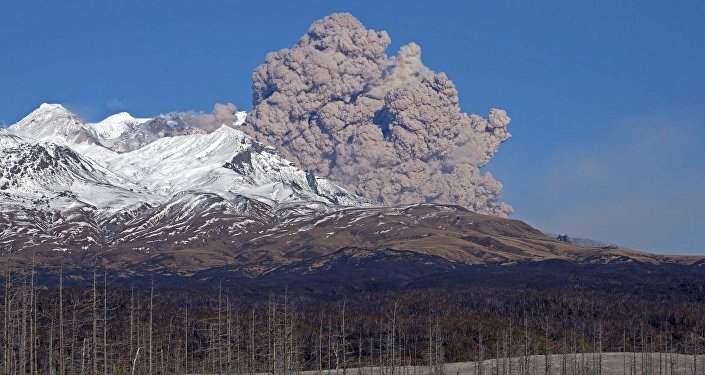 The new eruption led the Kamchatka Volcanic Eruption Response Team (KVERT) to issue an orange warning, meaning that while a major eruption is not imminent, it is nevertheless a danger to aircraft. "According to video data, explosions sent ash up to 7 km [above sea level] on 2153 UTC on January 09. 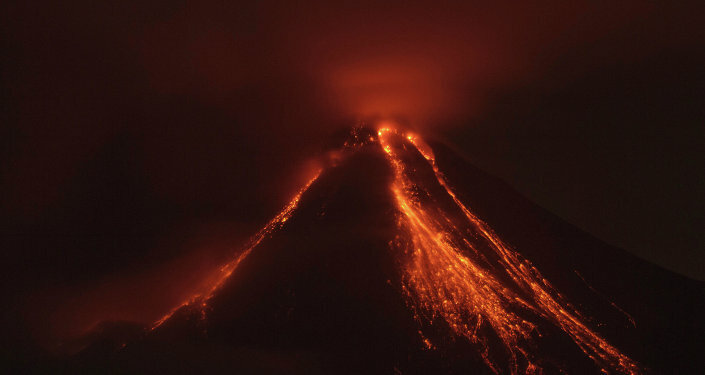 The ash plume extended to the west-northwest of the volcano," the warning issued by KVERT said. 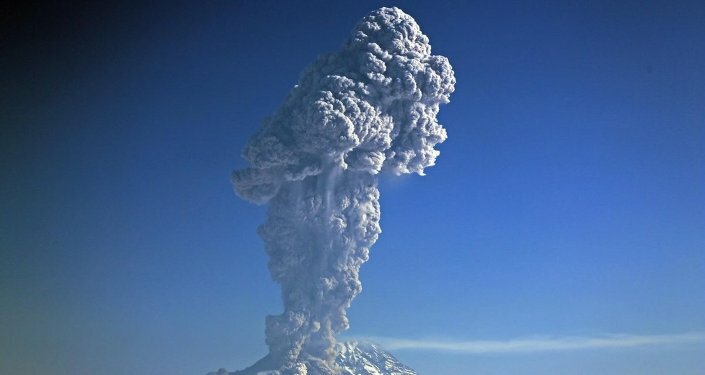 Ash plumes from the Shiveluch Volcano rose above clouds in its most recent eruption, photographed by researcher Yuri Demyanchuk, of the Institute of Volcanology and Seismology on January 10, 2016. Used with permission. The volcano continues to erupt, according to the response team. Seismologists have previously predicted that the volcano's activity would continue to rise over time. "Explosive-extrusive eruption of the volcano continues. Ash explosions up to 32,800 ft (10 km) [above sea level] could occur at any time. Ongoing activity could affect international and low-flying aircraft," the KVERT warning also sai.